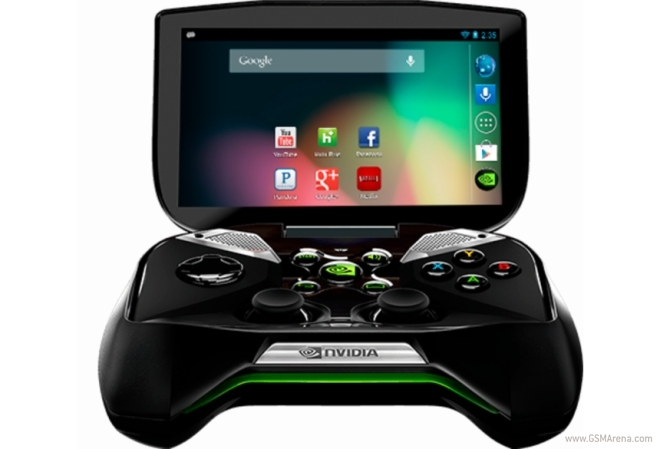 The upcoming successor of the Android-based handheld gaming console SHIELD will feature Nvidia’s premium K1 chipset clocked at 2.5 GHz, according to a leaked AnTuTu benchmark result. Nvidia SHIELD’s sequel is said to come out with 4 GB of RAM and is rumored to sport a Kepler graphics processing unit with 192 CUDA cores. The upcoming device has managed to score a whopping 44,500 points in the AnTuTu benchmarking. If the rumors are to be trusted, the next-generation handheld console will sport a 1440 x 810 pixels resolution display, 0.3 megapixel front facing shooter, 16 GB of internal memory and Android 4.4.2 KitKat operating system. Given the fact that the benchmark results can be easily faked, we suggest you to take it all with a pinch of salt.